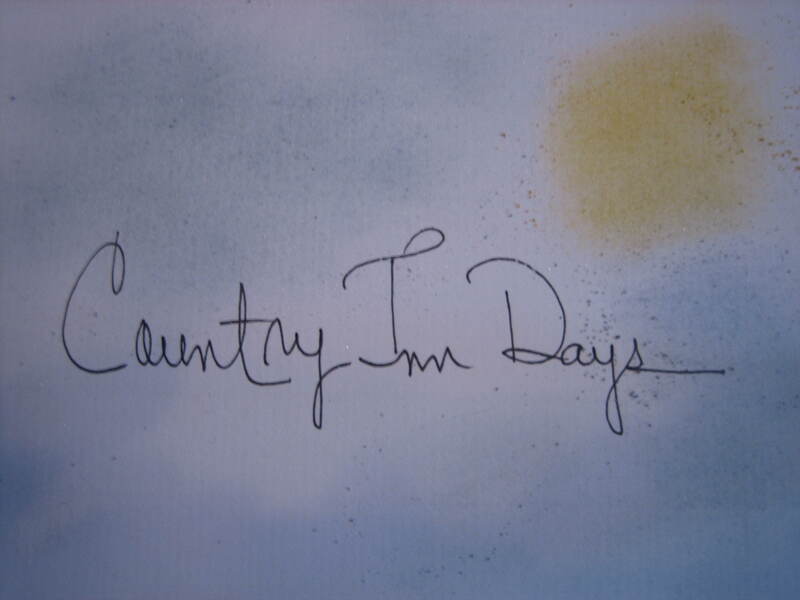 Some Country Inn Days have me going out and about to explore and enjoy the world around me. 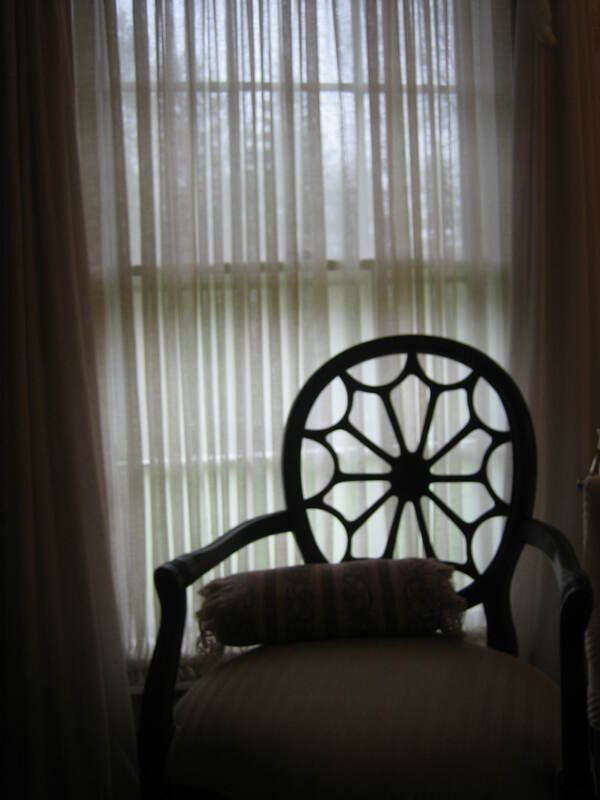 Other Country Inn Days have me playing the part of Innkeeper and Inn Chef preparing and hosting dinner parties and teas, but on this particular Country Inn “Spa” Day I will kick back, hibernate, and enjoy a day of rest and relaxation. 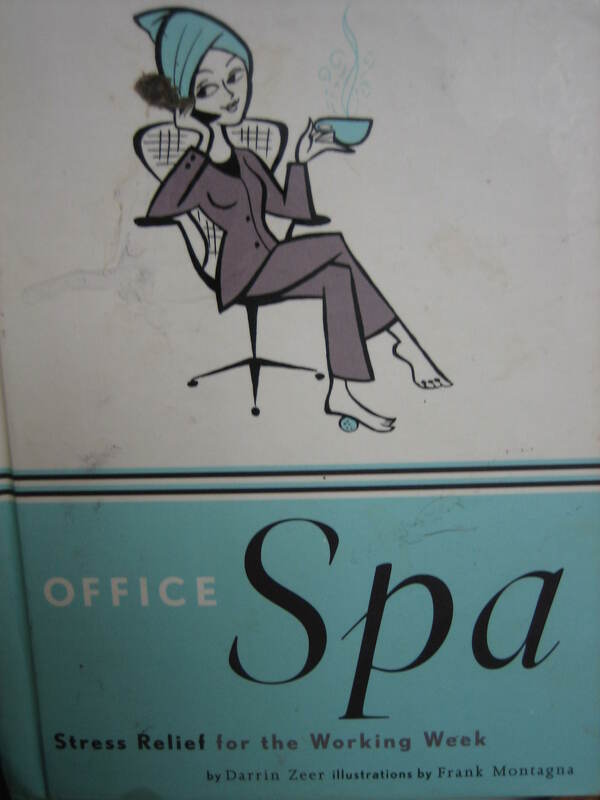 I will not even venture out to one of the professional spas in my area, but instead I’ll partake in spa treatments right here at my own personal Inn. The day’s itinerary is free and flexible. Today I will do only what the spirit moves me to do. If you’re usually a busy person this sort of free and easy Spa Day can really hit the spot now and then. Over the years I’ve collected all sorts of books which contain ideas for just this sort of day. I’ll lounge in my robe and fuzzy slippers reading these books and taking notes. If I come upon a treatment which sounds good at the moment I will partake in it. Other treatments and ideas will be jotted down for future days. Sometimes we need to stop doing and focus on “being”. 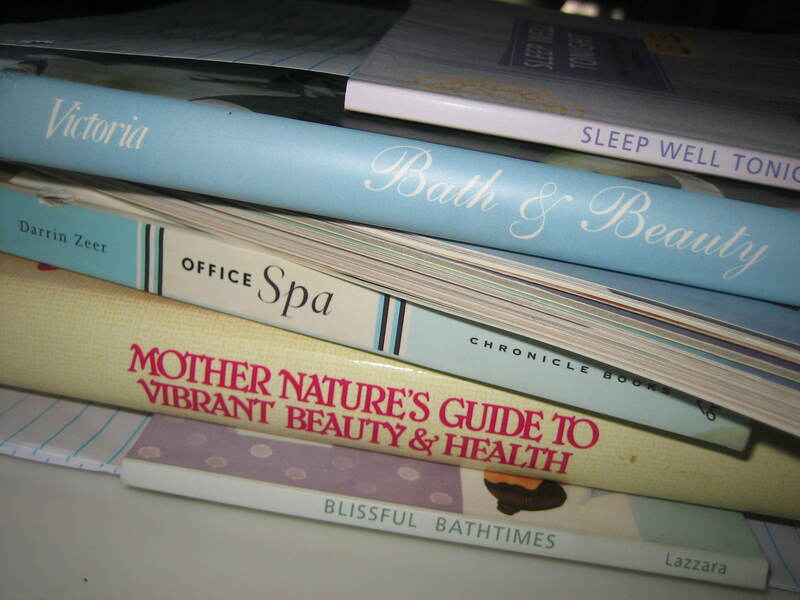 My personal library of spa books will also help me design rituals for every day, not just spa days. What fun to take a day off, to relax, to enjoy a little pampering, but also to plan rituals which will make future days better. Incorporating healthy habits and refreshing ideas into our days doesn’t just happen. We have to make these things happen by planning for them. Of course I want to share a few of the ideas I come upon with you because you know what I’m always saying – sharing doubles the joy and divides the sorrow. It seems Jane Austen felt the same way. Country Inn Days are all about imagination and in Margo Valentine Lazzara’s book, “Blissful Bathtimes” she reminds us that we can have relaxing escapes anytime, no matter how busy our day might be, if we take a few minutes to close our eyes and imagine we’re back at some beautiful place we love. Where would your imagination take you? 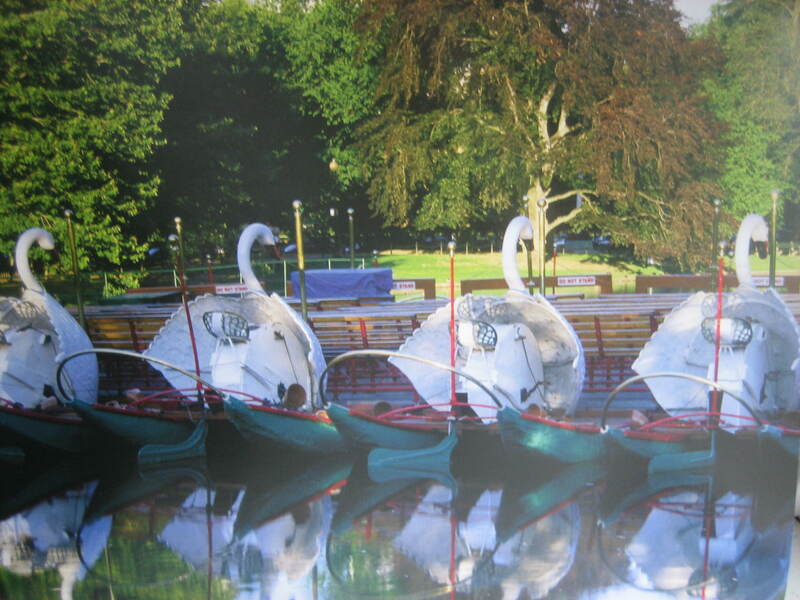 I would go back to The Boston Public Garden and take a ride on the swan boats there. I’d smell the flowers and trees, feel the sun on my back, listen to the ducks splashing in the water and gaze about at the nature all around me in this lovely garden. 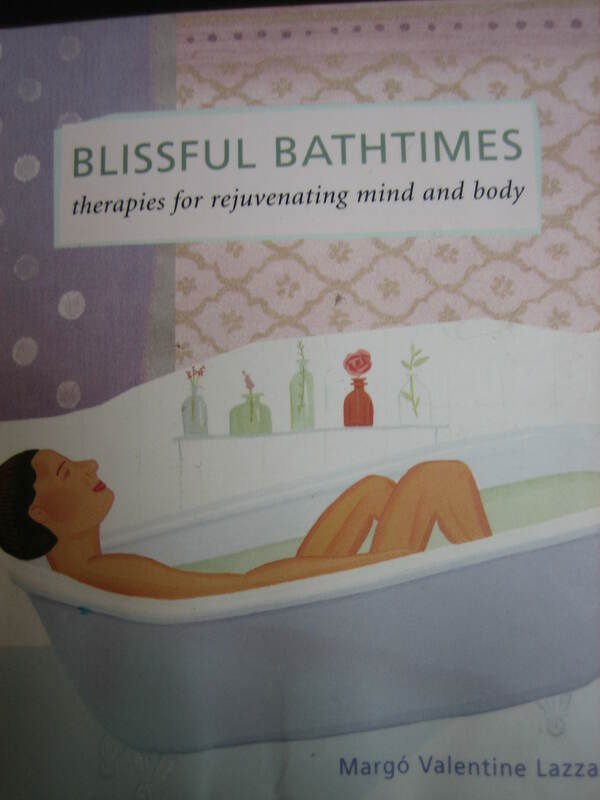 Margo suggests enjoying this creative visualization whenever we bathe, but actually we can enjoy it at all sorts of times and places. I can easily justify spending money to visit beautiful sites knowing that I can return to them often “in imagination” once they are experienced and carefully registered in my mind. Here’s another idea. Drink water. I’m thinking of a material that is lightweight, flexible, elastic, waterproof, self-mending, washable, durable and needs water to keep it in good shape. Can you guess what material that is? It’s our skin. 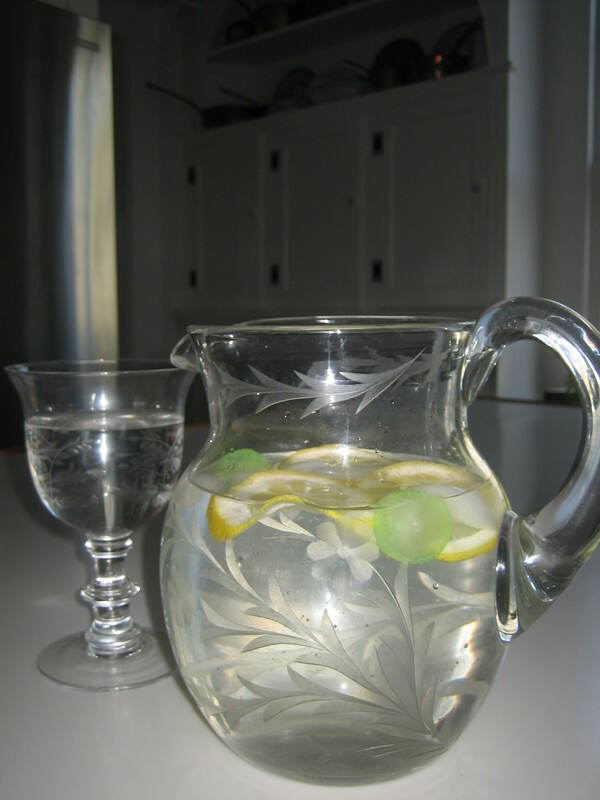 Sources agree we need 6 to 8 glasses of water daily if we want to take care of our skin. Having a pitcher nearby helps me remember to drink this healthful liquid. Other skin tips: Use moisturizer and sunscreen. Exercise regularly. Relax away tension to help prevent expression lines in the face. Get a lot of sleep. Keep weight constant. Eat a well balanced diet. 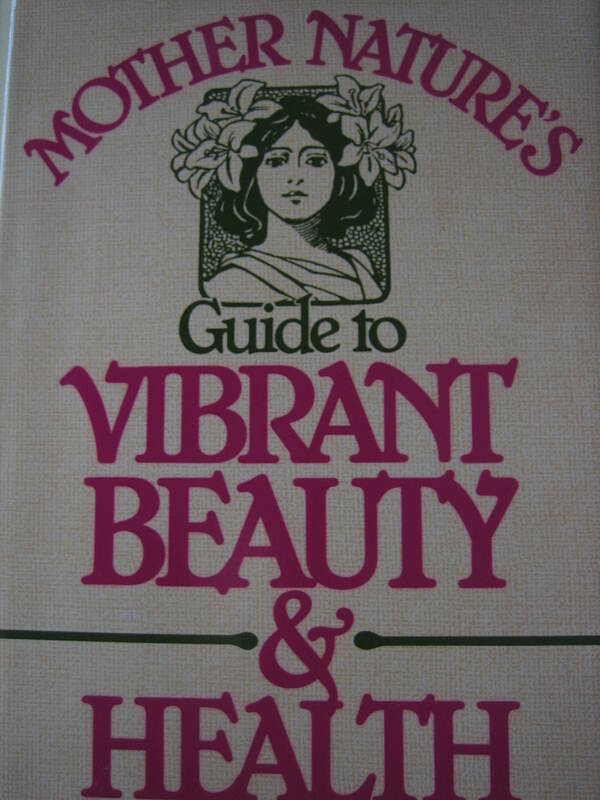 Myra Cameron offers all sorts of ideas for skin care as well as care for hands, feet, teeth, hair and eyes in her book “Mother Nature’s Guide to Vibrant Beauty and Health”. Here’s one of her gentle recipes for a daily facial scrub – 2-3 tsp. of baking soda mixed with a little warm water. For feet she suggests we try this Chinese massage – Rotate your ankles while massaging each toe. Massage the soles of your feet with your fists. Rub the tops of your feet from ankles to toes in circular motions with the flat of your hand. Now for a few tips for your teeth from Myra. – She says starches and fats can be as harmful to teeth as sweets. This is because an enzyme in saliva transforms starch into sugar; fat makes food stick to the teeth. Myra says raisins and peanut butter are among the worst offenders. And did you know drinking generous amounts of tea (which contains flouride) can provide just as much protection from tooth decay as flourinated water? Myra says it’s true. Let’s talk about hair. Myra says half-and-half gives hair extra body when left on for 5 minutes. She also suggests treating your hair to a fruit salad if you’ve been out in the sun. Here’s how – In a blender mix 1/2 banana, 1/4 of an avacado, 1/6th of a cantaloupe, and 1 tablespoon each of wheat germ oil and yogurt. Leave on hair for 10 minutes to regenerate sun-abused hair. And to refresh tired or irritated eyes – try saturating eye pads with warm to room temperature milk, and for dark circles or bags under eyes try creating a compress of moist camomile, pekoe, or rose hip tea (or warmed castor oil) and placing the compress on eyes for 15 minutes or longer each and every day. Myra’s book is a treasure trove of information. She also wrote a book called “Treasury of Home Remedies”. Who needs to buy fancy products with her many simple suggestions? I plan to try lots of her home remedies on future evenings when I need a little pick-me-up. But just taking time to step off the treadmill of life in order to relax our mind, body and soul is a very helpful way to feel happy and at peace. Work and worry are sturdy weeds, but joy requires cultivation. On Country Inn “Spa” Days I work at this cultivation. 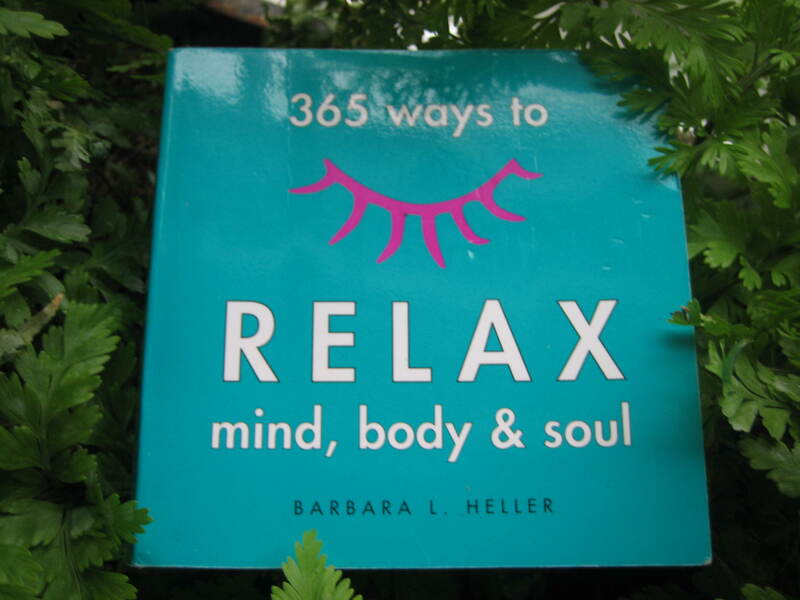 or “Relax mind, body and soul” by Barbara L. Heller, and using that inspiration to enjoy a little pampering, then designing beautiful rituals for future days, well, that’s a Country Inn “Spa” Day for you.